Rose Hips is Cassandra’s Tribal Fusion Troupe, established in 2015 as a student troupe, they are now stepping up to the plate by competing, performing at festivals, and taking on new adventures as soloists. They have elevated their dancing from “first timers,” to the major leagues. 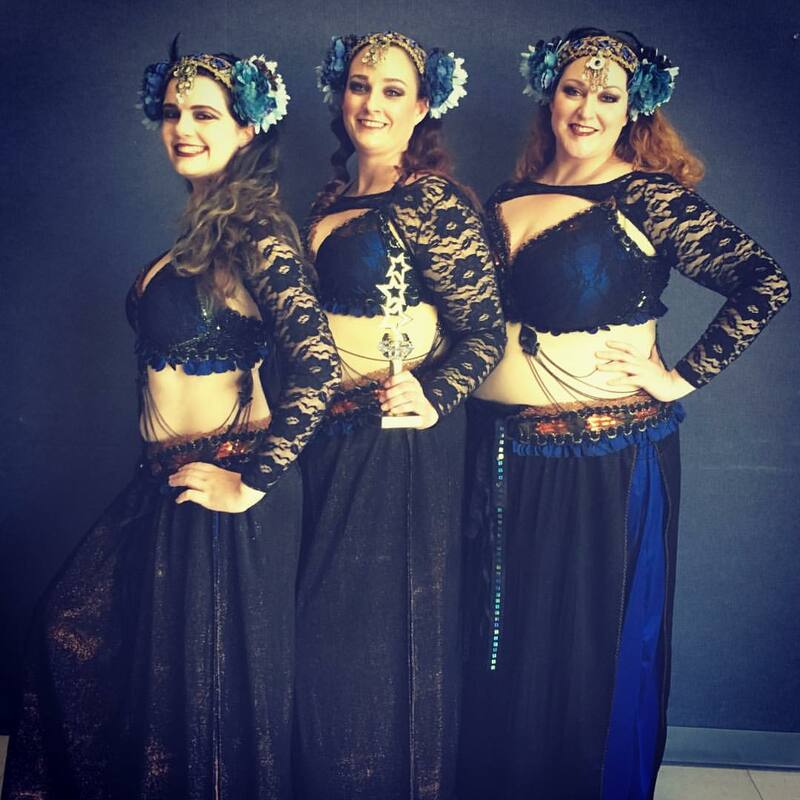 This trio of beautiful women shows the true beauty and diversity of belly dance. They are extremely dedicated to their craft, and have exploded onto the dance scene. Every time you turn your head, Rose Hips is there, and once you see them on stage it’s hard to look away. They perform amazing tricks almost effortlessly; they exude confidence and make you scream, “I want to do that too!” Members JacQuelin, Liska and Troupe Captain Alira, have been dancing together since September 2016 as a trio. Liska has been in love with fusion dance since the day she first saw it, and has dived deep into the style with Rose Hips, as well as soloing locally and at festivals. JacQuelin a stunning dancer with the presence of a warrior goddess; she is a true member of the “Rose Crew,” with extra practices away from her family and the hard work that comes with troupe. She has risen above expectation and is a powerful force on and off the stage. Alira is the troupe captain of Rose Hips, helping in anyway she can and motivating the troupe to push through at all times. She is the rock of the whole “Rose Crew.” Alira loves to perform tribal with Rose Hips and solo as a cabaret dancer. This trio is elegant, powerful and precise. Rose Hips will make you say “wow” from the moment they enter the stage until the last member leaves the stage.